Welcome once again to the Super Play Corner. The next Video Episode of the blog is still a few days away (sorry, super busy!) 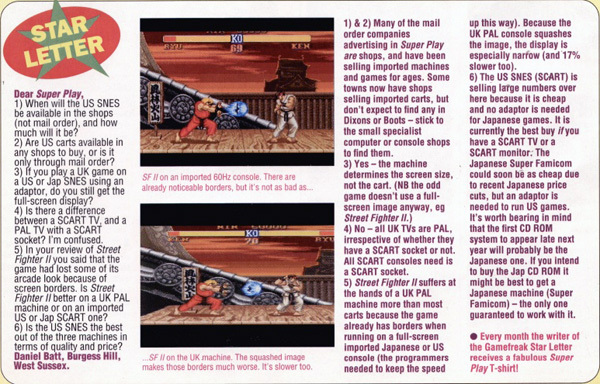 but here's another look at what was making headlines in Issue 3, back in December '92 / January '93. Ah, FF: Mystic Quest... What a piece of garbage. 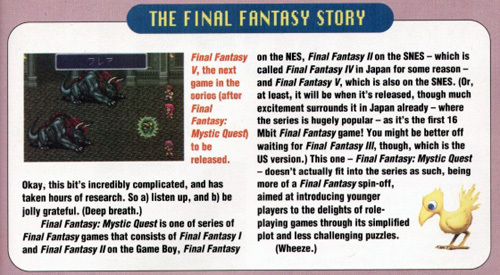 What's interesting about this story is that FFV (which was just about to be released in Japan) was all set to become "FFIII" in America. As we know now, that never happened, and FFVI got that honour... Which, of course, meant nothing to PAL gamers, as the first game in the series we ever saw was FFGVII! 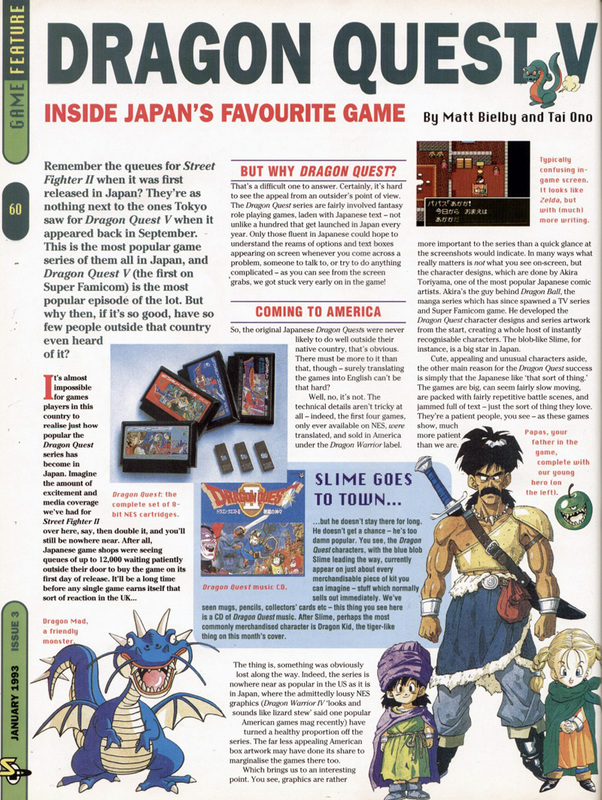 (Click on the image to view it full-size) Another game that never got a Western release (until just a year or two ago) was Dragon Quest V. It's amazing that a game series with such a phenomanally massive following in Japan just couldn't catch on in the west. I'm actually playing through DQV on the DS at the moment. (Y'know, in all my spare time and all that...) I think I'm getting near the end. It's quite good, but I can't decide whether or not I like it better than DQIV. This is from the "Letters" section. Check out the two Street Fighter pictures. See what we PAL gamers had to put up with? Squashy, slow graphics. Grrrrr... Thankfully with the advent of HDTV this kind of rubbish doesn't happen anymore. Back then though, we either put up with it, or bought an imported machine. I was ignorant. And a kid. I didn't really know any different so I just put up with it.